In an effort to recapture the mesmerizing style of classic horror movies, Clod Studio has teamed up with Italian horror legend, Dario Argento to bring their first game, Dreadful Bond to Kickstarter. The team is seeking $68,249 in funding to bring their supernatural psychological thriller to life. Dreadful Bond tells the story of an unnamed protagonist who awakens in a crypt after dark. The character has no memory of who they are or how they came to this place. Their only hope of uncovering answers is to explore the abandoned Wharton family mansion. Here they will learn the mystery of the house as well as the atrocities which occurred there. 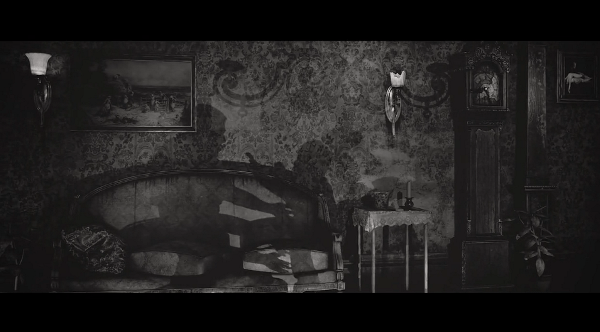 Leaning heavily into a classic film noir style, the game plays out in black and white with a unique emphasis on lighting. While shadows serve the traditional purpose of obscuring the player’s vision, here they also act as a storytelling mechanic. The Wharton mansion is full of ghastly memories. Players can witness many of these memories for themselves as the the shadows of the past reenact them during gameplay. 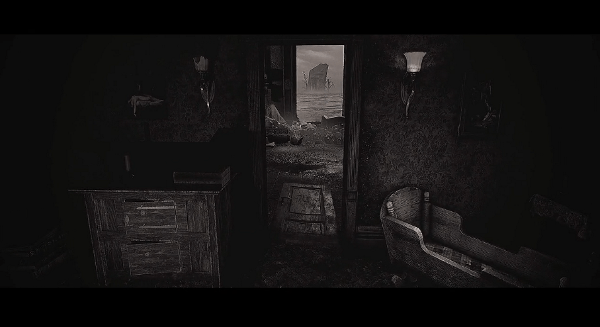 These eerie vignettes direct the player’s exploration and help them to fill in the missing events of their character’s past. Set against the photogrammetry rendered world, the visuals are absolutely stunning. Details of Dreadful Bond’s story are kept a bit vague though anyone familiar with horror tropes will probably think they have an idea of what sort of twists to expect. Hopefully, the team will go beyond a simple homage to the classic, “by the way, you killed your whole family, welcome to purgatory,” storyline and give us something fresh. Considering that creative supervisor, Dario Argento was responsible for the original Suspiria screenplay, there is probably more here than meets the eye. Time will tell, but first they need to reach their Kickstarter goal. If you’re a fan of horror you won’t want to miss this campaign.